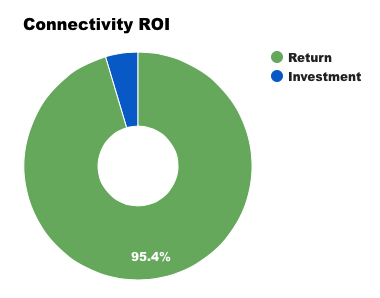 Last week a trade show company named Smart City Holdings learned that interfering with conference-goers’ connectivity is a costly mistake. But in an increasingly connected world are your city leaders and digital infrastructure providers making similar bad choices? Trade shows, especially big ones, resemble cities. Both order themselves around central blocks with the most desirable ones going to the highest bidder. That’s the way things work in a supply and demand world. The world’s best cities prove it. In fact, the aspiration that cities can be even more responsive to their inhabitants and generate more opportunities for them is behind the growing interest in making city infrastructure smarter. The similarity between trade shows and cities can be an instructive model. Through it we can learn what happens when forces conspire to make them less efficient rather than more efficient. A truly MESHed City, as we call the next generation of smart cities, requires its citizens access to real time connections to one another and to the broader Net through fast, affordable mobile devices. But when access to broadband service is choked, impeded, controlled, made too expensive, spied upon, or otherwise interfered with there is an economic penalty. Last week the apocryphally named Smart City Holdings company paid a $750,000 fine to the US Federal Communications Commission. Why? Because they thought they could benefit from blocking people’s connectivity. They were wrong. 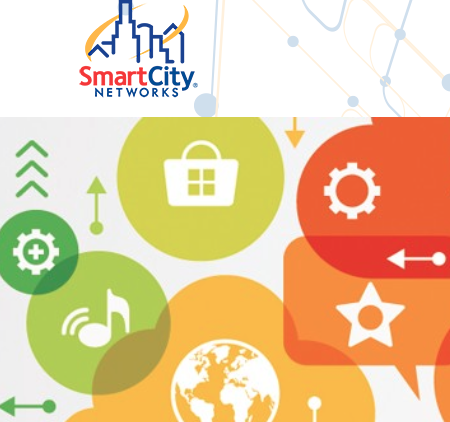 Smart City Holdings’ penalty is a cautionary tale for those who have a holdover Twentieth Century idea that monopolistic, expensive control of communications media is a viable business or policy tactic. If you’ve ever been an exhibitor at a major trade show odds are you’ve shared the following experience. Even though high speed Internet costs pennies per gigabyte to supply, the conference organisers charge an exorbitant fee for connectivity because, well, they can. In the hard wired world they were the only option available. To make the insult even more egregious however, when mobile Hot Spots or Internet Tethering offered cheaper alternatives to trade show users, their efforts were stymied by the organizer’s use of signal jamming technologies. That’s what caught the FCC’s attention. It doesn’t matter whether it is conference organizers or governments who interfere with a group’s ability to communicate—especially when compared to others in the competitive global economy. Everyone loses. Clients or citizens lose because the added friction of bad connectivity means they can’t compete with other global players. And when the people who drive revenue and/or the economy fail then it is not long before everyone suffers. Just how important is unfettered connectivity? Researchers for the Copenhagen Consensus note that for every dollar spent on improving fixed broadband services on a global basis twenty-one dollars are returned in economic growth. Those are notable returns in a world in transition. Why would anyone be short sighted enough to impede them? Previous articleWhat’s The Biggest Threat to Smart Cities?